I had planned to do a couple of the eastern Cairngorms this weekend but the weather wasn't looking great, so I had a look further south and I had 2 left over near Glenshee, Carn Mhac & Beinn Lutharn Mhor, checked the forecast, no wind, 5 - 10% chance of rain and visibility G- VG (taken from the met office). 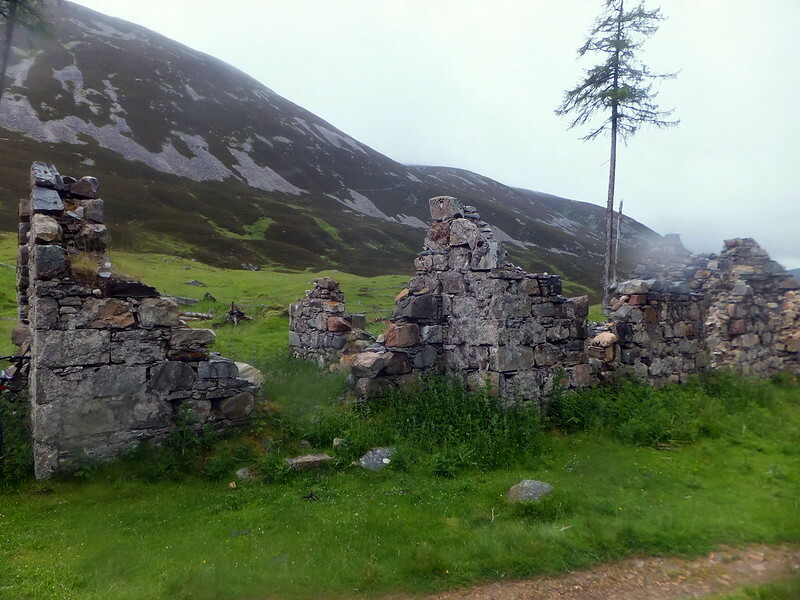 I did this via the WH route and biked it down the old shooting lodge, the terrain is pretty easy going only a couple of bits where I had to hop off. 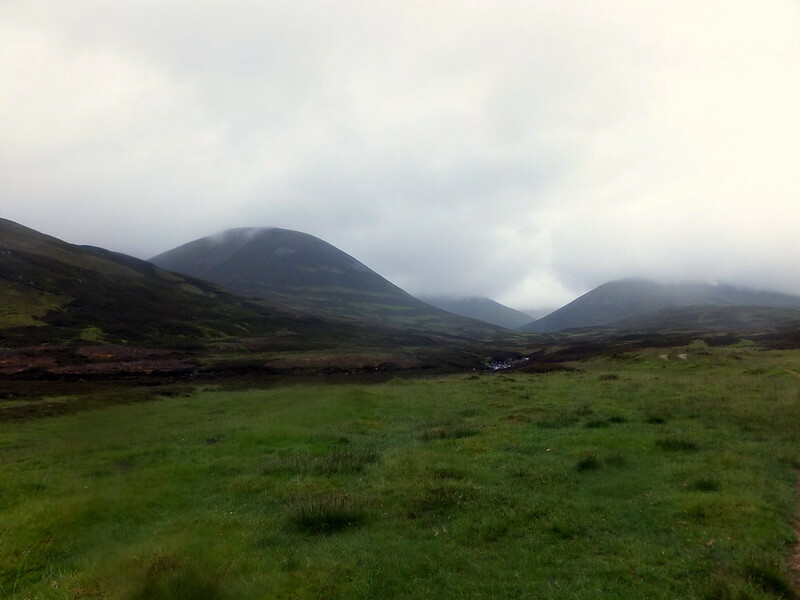 Riding down my 2nd objective was shrouded under clad and it started to drizzle but it was that kind of Scottish drizzle that just gets everywhere, once I arrived at the old lodge, the waterproofs were donned and I set off up towards the open hillside, there are no paths to follow, I just aimed towards where Carn Bhac should be, trudging through what seemed like endless miles of bog and heather (in actual fact it was probably only a couple of miles), the rain seemed to becoming down harder and the wind picked up a wee bit to add to the fun. As I approached the final pull up to the summit, the clag rolled in, nice and thick and this how it was going to stay. 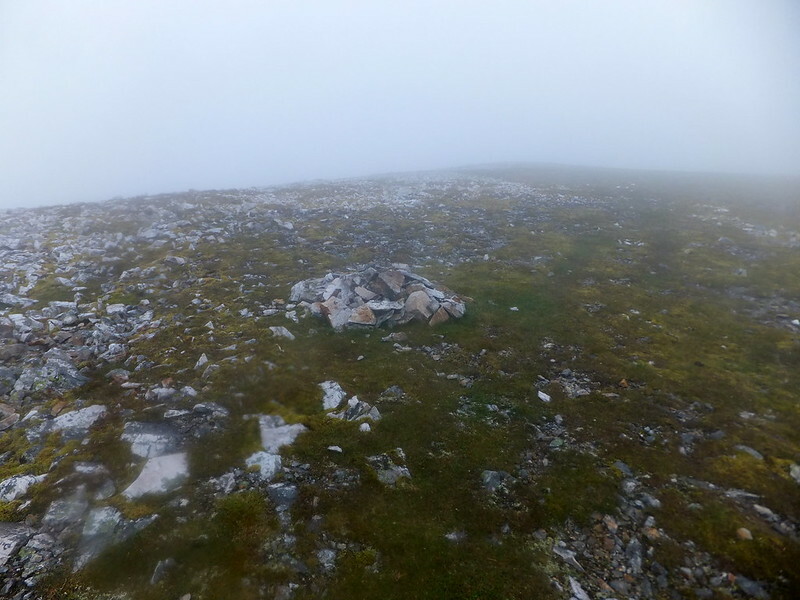 Finally I hit the summit, took a bit of wandering about till the cairn/windhelter (which was pointing the wrong way today) loomed out the mist. Finally I arrived at the foot of the final ascent, **** ** that looks brutal and so it proved to be the case, I just picked a line and headed up and up and up and up, although it's only 200M you need to regain it feels like a lot more, my legs were screaming at me, finally I made it on to the summit ridge, I didn't stop, I walked over to the summit and walked straight back, I wasn't hanging about, the summit ciggie can wait till I'm back at the bike. 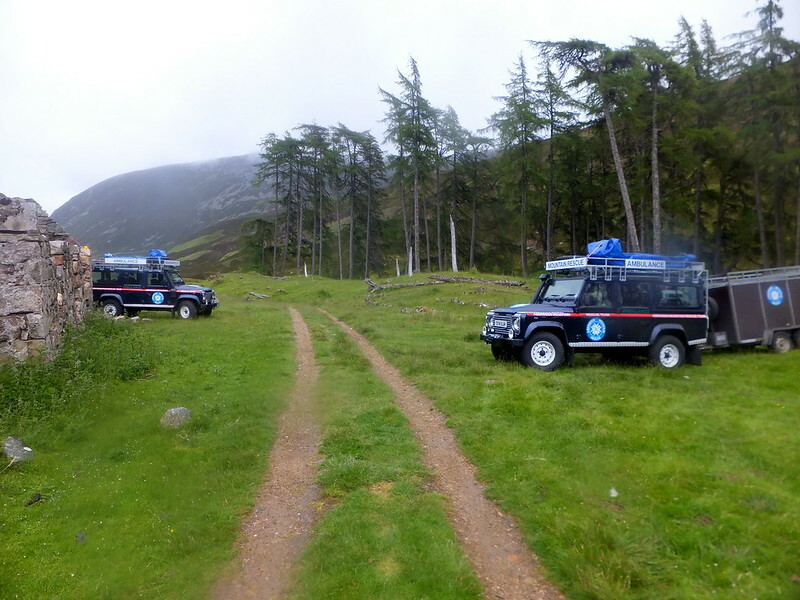 Too bad about the rubbish day Gary, you should have been across at Loch Ossian with us, a bit claggy at first but cleared up in the afternoon so we could look back and see where we had been. Sunny Speyside wrote: Too bad about the rubbish day Gary, you should have been across at Loch Ossian with us, a bit claggy at first but cleared up in the afternoon so we could look back and see where we had been. 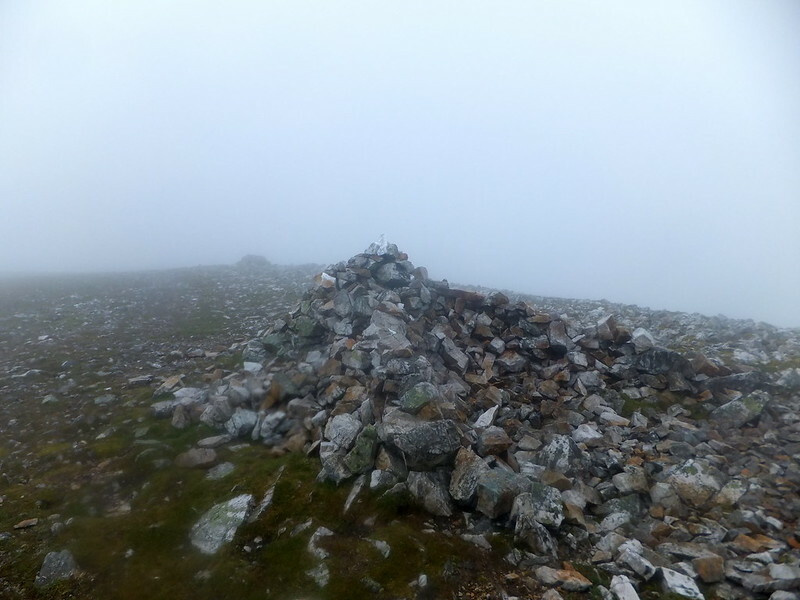 I was intending to do Carn an Righ and Glas Tulaichean yesterday (with the option of tagging on Beinn Lutharn Mhor if the legs were OK) but in the end chose not to go as I wasn't sure if there would be much to see (other than clag). Now that I've read your report I think I'll try and stick with this plan and do Carn Mhac as a single climb later in the year. It was a toss up between these and Beinn a' Bhuird last week. Sounds like Beinn a' Bhuird was the right choice. Aye that is a fair auld jaunt! especially the bike ride in! I measured it when I done these two with the addition of An Socach and it came to 5.4mls and like you I too uttered the immortal words **** **! on a few occasions................make that a lot of occasions! My only saving grace was that I at least got it dry with good visibilty! metafor wrote: Well Done Backpacker! No much of a hill right enough ! Pity about the weather, Backpacker. Nobody who climbs a fair few Munros gets views from all of them, of course. A sensible move to bike in; I gave myself blisters doing this whole route on foot. 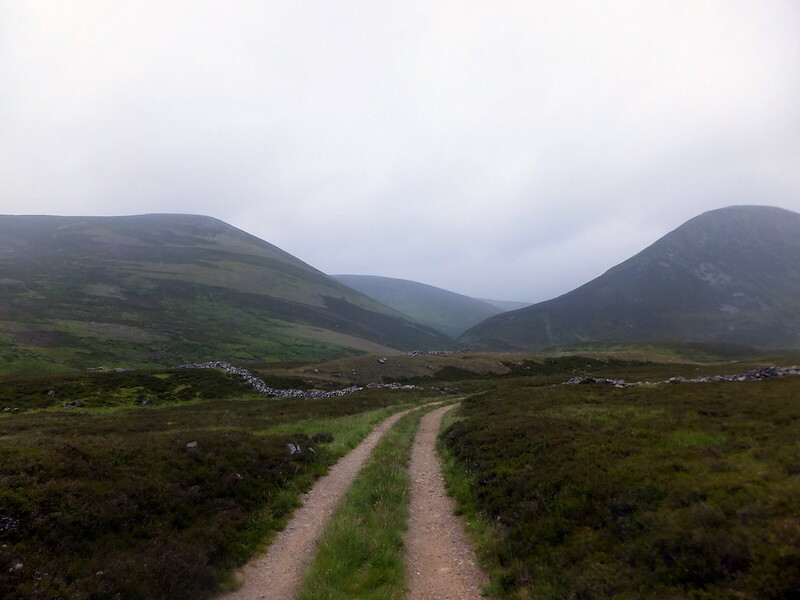 Well done on completing the Glen Shee hills. Shame about the weather, as these are a fine group. Did them Sunday together with Tulaichanand Carn an Righe superb round. Couple of showers into Carn Bhac but then cleared up to a lovely sunny day. 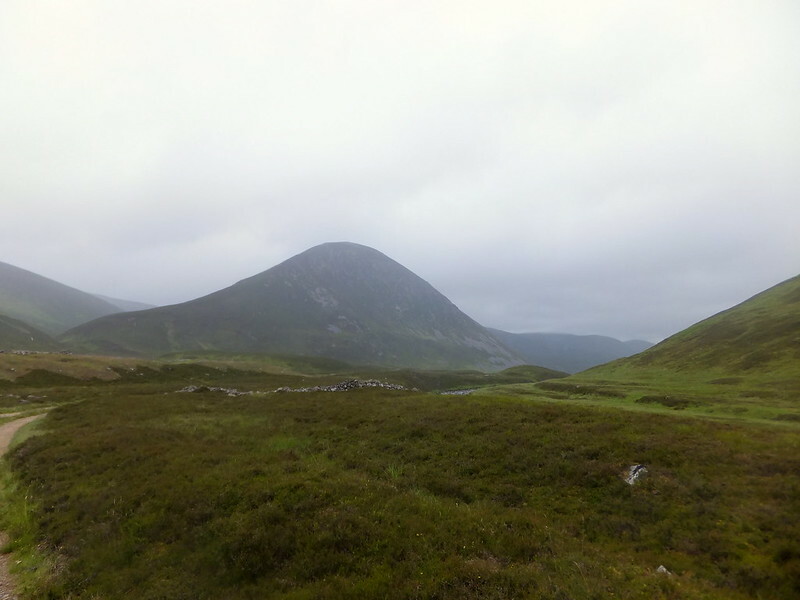 We camped in Glen Clunie earlier last week, managed three Cairngorms Munros, weather was quite good and surprisingly, very few midges.